Reno, Nev. • Off-road vehicle enthusiasts are suing the U.S. Forest Service over the bistate sage grouse in Nevada and California, arguing that a protection plan enacted this year could increase fire danger across rangeland habitat of the bird already proposed for threatened status. The California Four Wheel Drive Association and off-road groups in the Sierra and Nevada's Pine Nut Mountains say the protection measures in Humboldt-Toiyabe National Forest weren't included among the alternatives subjected to scientific scrutiny and public comment as required by federal environmental laws. "These changes were not specified in any alternative in any of the multiple (environmental reviews) available for public comment," according to plaintiffs that include the Sierra Trail Dogs Motorcycle and Recreation Club, Pine Nut Mountains Trails Association, American Motorcyclist Association and Blue Ribbon Coalition. Forest Service spokeswoman Erica Hupp said Friday the agency doesn't comment on ongoing litigation. The status of Forest Service protections ordered in 2016 isn't clear given the court ruling on listing earlier this year. He also ordered reinstatement of the proposed designation of more than 2,800 square miles of critical habitat potentially subject to development restrictions along the Sierra’s eastern front — an area bigger than Delaware. 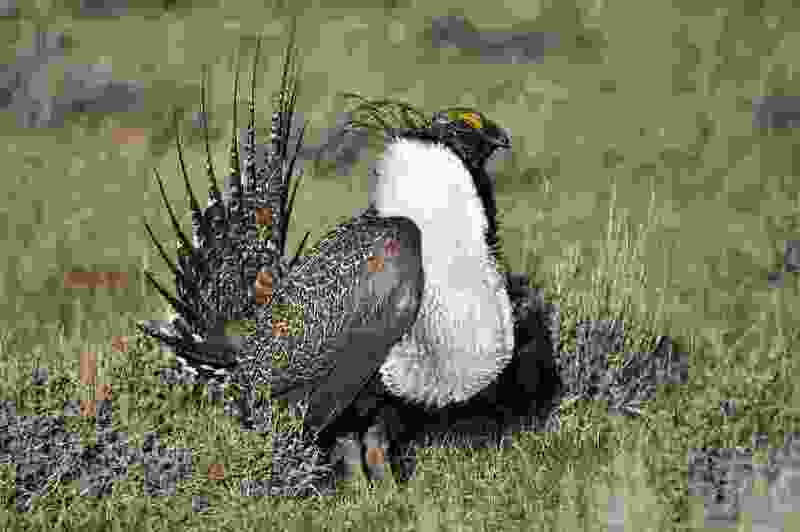 The original Forest Service preferred alternative would have barred off-road travel within 3 miles of an active lek during primary breeding season March 1 to May 15. The final decision expanded the buffer zones to 4 miles and extended the ban through June 30. That forced the Trail Dogs to postpone by a month a 250-mile motorcycle race traditionally run in mid-June to the weekend of July 14-15, 2019. Racing through high-desert sage brush after June 30 "greatly increases fire risk and safety concerns due to greater heat and reduced moisture," according to the lawsuit filed last week in federal court in Reno. "It is nearly impossible to design a viable route system in the project area ... that does not include a route passing within 4 miles of such leks," the lawsuit said.